WASHINGTON — NASA’s plans to return humans to the surface of the moon within 10 years got a chilly reception from an advisory group Nov. 15, who called on the agency to accelerate that timeframe and reconsider development of the Gateway facility in lunar orbit. At the meeting of the National Space Council’s Users’ Advisory Group at NASA Headquarters here, Tom Cremins, associate administrator for strategy and plans at the agency, provided an overview of the NASA “Exploration Campaign,” the high-level approach it plans to undertake to implement Space Policy Directive 1. 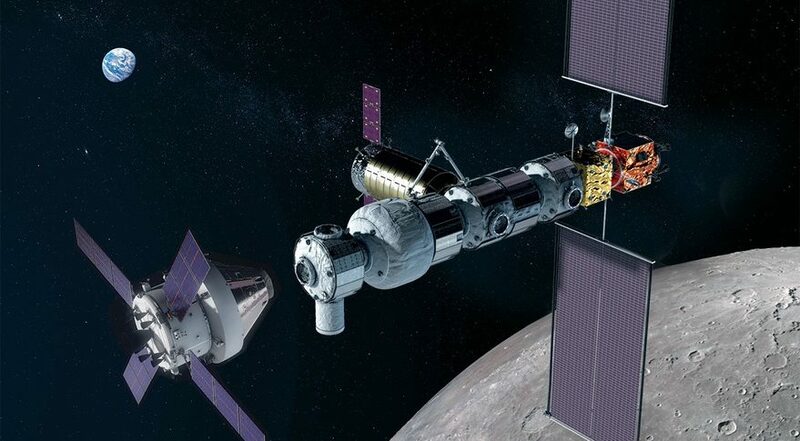 That campaign involves development of the lunar Gateway, featuring modules from NASA and international and commercial partners. 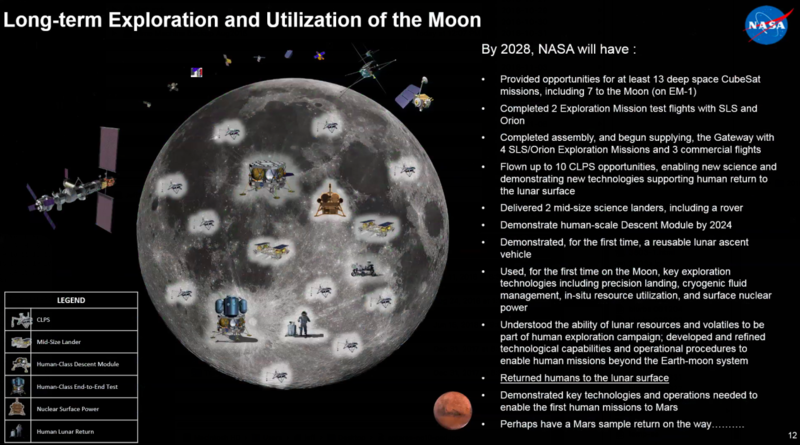 NASA also plans to develop “human-scale” landers, starting with a descent stage that can be tested at the moon as soon as 2024. “This comes across as having no sense of urgency,” said Harrison Schmitt, the Apollo 17 astronaut. “I think there should be a sense of urgency.” The pace of the proposed program, he said, didn’t match what took place under Apollo. “I think of launching Saturn 5s every two months and you’re barely going to launch them every two years,” he said of the Space Launch System. Aldrin said he liked the “Moon Direct” concept proposed by Robert Zubrin, the engineer best known for his advocacy of Mars missions, that involves lunar landers traveling from Earth orbit to the lunar surface and back. He added he had similar ideas, although not as polished yet as Zubrin’s. Those comments are not the first time Griffin has suggested China would land humans on the moon before the United States could return people there. “I personally believe that China will be back on the moon before we are. I think when that happens, Americans will not like it, but they will just have to not like it,” he said in a September 2007 speech. At the time, Griffin was NASA administrator, charged with carrying out the Vision for Space Exploration that included a human return to the moon by 2020. That program was terminated by the Obama administration in 2010, but to date China has yet to send humans beyond Earth orbit, and its human spaceflight program is focused on development of a space station set to begin operations in the early 2020s.